-Read the excerpt below from NY Post's Aug. 25 editorial. Hamas scored a propaganda coup in Monday’s New York Times [Aug.25], which published a Palestinian teen’s dubious claims that he was tortured by Israeli soldiers. It’s another low point for the Times, whose reporting often skews against Israel – and also a vivid example of the off-kilter coverage of the Gaza conflict generally. 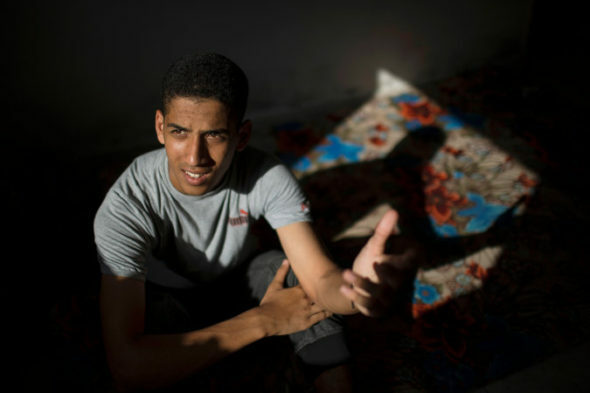 Ahmed Jabal Abu Raida says he was detained for five days, forced to sleep blindfolded and handcuffed and made to search for Hamas tunnels in Gaza – a violation of international law if true, the Times says. His “ordeal,” as the Times calls it, is a conveniently timed story, coming just days after Hamas committed an undeniable atrocity by lining up 18 Palestinians it accused of “collaboration” and killing them in cold blood. Equally convenient is his claim that he was used as a “human shield” by the Israelis, when it is Hamas that has repeatedly used its own people, including Palestinian children, in that way. Israel admits Abu Raida was detained as a suspected terrorist, but the story has holes. For one, his father is an official in the Hamas-run government. For another, his family says it “forgot” to take photos after his release to document his charges and threw away clothes he says he was given after he was forced to sleep in his underwear. Here’s the problem: To end the conflict in Gaza, the world must bring all the pressure it can to bear on the aggressor: Hamas. For that to happen, however, it will take reporting that is more honest than what the Times – and others – have offered. b) Why do you think the Times ran the story without corroboration? 2. What type of bias do the Post editors assert the Times is displaying in its article on Palestinian teen Ahmed Abu Raida? which does the Times fail to fulfill?